It’s still dark enough at 6am to see a few stars. 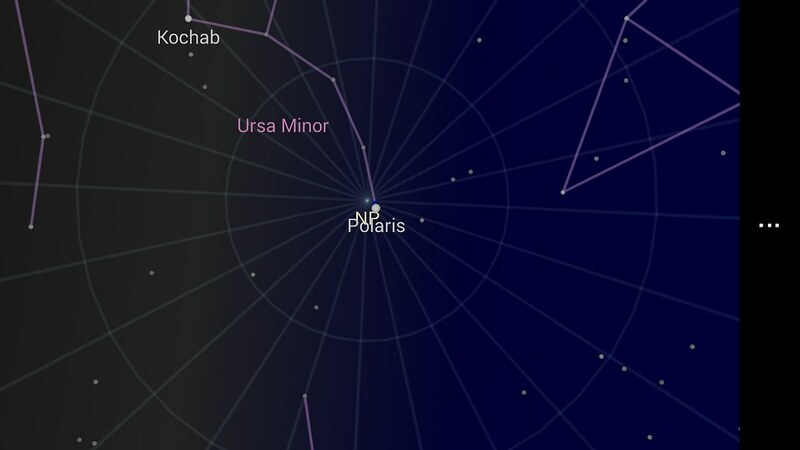 My weekday early morning run wraps up around that time, and this morning I took my post-run cool-down out on the back deck and found Polaris. This is a screen capture from an app on my phone. My actual view of the star was a faint dot between our neighbor’s trees. The other notable sight in the early morning sky today was Scorpius. One of its stars looked extraordinarily bright, and the gizmo on my phone told me it was Saturn. Early morning offers these stolen moments, before things get out of hand after the sun comes up. You’re out there with the newspaper delivery guy, the surprisingly cheerful recycle bin scavengers, the night-shift retuning cats, bands of raccoons, mystery night birds, and the first notes of the dawn chorus. Before every morning run I try to convince myself that it would be better to stay under the cozy blanket and run tomorrow instead. After every morning run I’m really glad I didn’t listen to that advice.